Eric Menna – All Sports Specialist – Everything’s going great here at Georgetown during my first year. I’m currently working at the Hilltop Microfinance Initiative, a non-profit that helps to serve the underbanked, low-income entrepreneurs in the DC, Virginia, and Maryland area. I’ll be running a 5K on Halloween day in my Teletubbies costume to promote domestic violence awareness, and am loving my studies in Science, Technology, and International Affairs. Allison Collins – Upper Camp Counselor- Over the past few months I’ve been back in San Francisco at school. I got to design a set for our mainstage production which was wicked fun! Chris Moriarty – Lifeguard/Swim Instructor – I have been very busy with school work here at Umass Amherst since it is my Senior year. Midterms are almost finished so hopefully the work load will decrease for a short time after. Other than that, I was asked to be the best man at my brother (John’s) wedding. I am pumped about this and very happy for him. Jonathan Schechner – Lifeguard/Swim Instructor – Ran the Paddy’s 5K road race with my son! Tamara Feldman – Lower Camp Counselor – I have been busy working at Brown Middle School as an inclusion assistant and going to school on the weekends to finish up my masters. I have been enjoying all the beautiful weather and the fun fall activities like apple picking, but of course I can’t wait for the summer again! Graham Saunders – Circus Camp Specialist – This September I resumed my studies at the University of Oregon where I am a junior business major. I recently joined the International Business and Economics club as well as Rotaract, a club that does volunteer work in the surrounding city of Eugene. 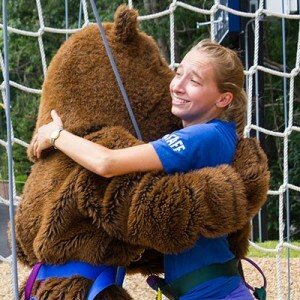 MacKenzie Rickert – Lower Camp Counselor- I have returned to classes full time at Northeastern, work part time as a special education teaching assistant at Kennedy Day School, and spend most of my time coordinating efforts for the organization that I run called Peace Through Play! I am also in the process of searching for my third and final co-op in the area of pediatric occupational therapy and getting ready for a 24-hour scavenger hunt around Boston and surrounding areas that I will be participating in in a few weeks! Patrick Sullivan – Middle Camp Counselor- Pat just stopped by Beaver and he is doing great. Enjoying his first semester at Yale. Kim Birkett – Middle Camp Counselor – I am currently getting my master’s at UNH and teaching 9th grade writing at Noble High School in North Berwick, Maine. Nicole Griffin – Lifeguard/Swim Instructor – I have been enjoying my senior year of college and it has been a busy year so far thinking about applying for grad schools. I am looking forward to the summer! Bridget McAnulty – Lifeguard/Swim Instructor – I actually just started my second practicum at the Franklin Elementary School in North Andover and I’m working in the second grade. Gavin Davis – Upper Camp Counselor – After camp ended, I went to Cape Cod with some friends and family. Since then, I have been settling in to my second year at St. Lawrence University. I have been doing a lot of backpacking and canoeing up here, mostly in the Adirondacks. Zara Woodhead – Woodshop Specialist – I have been doing my practicum for my master’s degree, so I’ve been working in a first grade classroom in Newton. GusK. is in my class! There are several other Beaver campers in the school as well, so that was a nice surprise. Looking forward to next summer. Meghan Strapec – Senior Camp Counselor – I’ve been exploring the magic of grammar and literature with my 7th and 8th graders and running all over Dorchester with the cross country team. Stephanie Harvey – Lower Camp Counselor – I am having fun teaching my second graders and enjoying this beautiful fall weather we’ve been so lucky to have! Laurel Sullivan – Lower Camp Counselor – I am enjoying my junior year at Beaver, taking many interesting class and playing soccer. While I love school, it is weird being in the school without all of the campers. I can’t walk by the Cricket room without thinking about the campers, or the lower field without thinking of carnival. I miss all of the campers around the school, and am already looking forward to next summer. Amanda Cermak – Adventure/Challenge Specialist – I’m still down here in Santa Marta, Colombia teaching first grade in a bilingual school. On the weekends I go to the beach, or I head up the mountain on my motorcycle to go birdwatching. Oh, and of course I’m always dreaming about Beaver Summer 2015!!! Sarah Mutter – Upper Camp Counselor – I’ve started my sophomore year at Bates College in Lewiston, Maine, and I’m having great semester. Right now I’m taking a Basic Concepts in Special Ed course in which I volunteer at a local elementary school. I work in a classroom with nine students, ages five to eight, with various disabilities. Seeing these kids is one of the best parts of my week! Alex Zeigler – Lower Camp Counselor – The past couple months I’ve been buckling down for my junior year, attending college fairs and and working on my research paper. Joe Solof – Upper Camp Counselor – I broke a bone in my foot at the very end of September 🙁 . Since then, I’ve been wheeling around Underwood Elementary in a desk chair, teaching Kindergarten on 1 leg. It’s about as chaotic as it sounds, but my kids and colleagues have been a huge help. When it happened, the first thing I said to myself was, “thank goodness there’s no snow/ice yet, and thank goodness I won’t have to miss any time at Beaver!” I’m drinking lots of milk, following the doctors orders and longing for next summer already! Larry McKinney – Lifeguard/Swim Instructor – I have been teaching science in the upper school at Beaver and coaching the varsity golf team. Melissa Rubin – Art Specialist – I’ve been teaching Hebrew school and preschool as I have been doing for the past 5-6 years. My family and I went on a cruise with my parents to Turks and Caicos and the Bahamas and had a particularly fun time kayaking, snorkeling, hanging out on the beach and eating molten chocolate cake. Chris Lewis – Music Specialist – My school year is going great so far- I am teaching private music lessons for 25 students for guitar, voice, bass, drums and piano. I am also teaching group music lessons at preschools and after school programs. I have also been performing and recording with my band, The Lewis Duo. We are currently working on our second album in the recording studio and we recently performed at Hard Rock Cafe Boston! Ashley Estes – Upper Camp Counselor – Currently, I am enjoying my time teaching math at Medfield High School, where I graduated from! It’s crazy being back in the old stomping grounds. Denny Morell – Lower Camp Drama Specialist – I have been very busy since our last wonderful staff dinner at Beaver. I am at present travelling up the “Yellow Brick Road” to see the Emerald City with a talented cast of children all of whom are looking forward to their December performance of The Wizard of Oz . Mary Poppins is waiting in the wings and will begin her journey in January. I am enjoying teaching my courses and also working on a mini- presentation of Porgy and Bess for a performng arts showcase at Mass Bay. Joanna Lustig – Senior Camp Counselor – I’m working hard in my second and final year at Boston University School of Education and will be a licensed school guidance counselor by the time next summer starts. I’m interning three days a week at Heath School and am lucky enough to regularly run into many Beaver campers there! Lauren Cutler – Lower Camp Counselor – I’m in my sophomore year at Vassar College and am getting ready to declare my major in Anthropology! Gabe Verdaguer – Extreme Sports Specialist – Since camp ended, we have vacationed in Florida, spent a day with our big family at Canobie Lake Park, and have enjoyed the fall season with apple cider donuts and a visit to Smolak Farms. We also found out that our second child will be a boy! We are expecting him this March. Megan Williams – Peak & Paddle, Aqua Adventure Specialist- I have been working in Lexington as an Instructional Assistant in a fourth grade classroom. Its my first year working and 4th grade and I’m loving it. I’m continuing with grad school at Lesley for special education. For fun, I’ve been going to the Cape Cod to see the ocean as much as possible. Olivia Saunders – Circus Specialist – I’ve been up in Canada, Quebec City specifically, continuing my training to be a professional circus artist. I’m still focusing on tight wire and hope to present an act on the 6 foot wire this December! Billy Gove – Middle Camp Counselor – The past few weeks I have been busily studying so to do the best for my junior year. Besides that on the weekends I’ve been hanging out with friends and reffing youth soccer games. I already can’t wait for next summer! Mimi Stewart – Lower Camp Counselor – I’ve been studying hard at school the last few months (very stressful) . I’m hoping to get into the nursing program at my school so I’m studying away at school! Kerri Gavin – Middle Camp Counselor – Over the past few months, I have been working at an elementary school in Newton and attending graduate classes at BC! Amanda Farman – Upper Camp Counselor – I have been in school at Wesleyan (it is my sophomore year) for the past few months, and I have been doing very well. It has been a great but busy year.